It’s no secret that I love baseball. 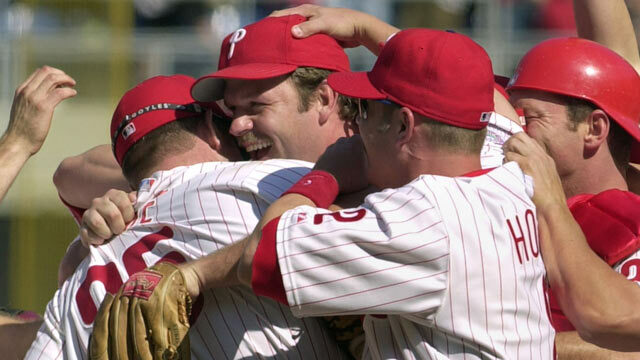 A love that has chocked me up while watching movies, or even made me shed tears of joy when I watched Kevin Millwood complete his no-hitter in my college dorm room in 2003, just months after he left my beloved Braves. My emotional tie to baseball, and other sports, started with a VHS tape I had as a child, Great Sports Moments of the 80s. In the hour long show, Al Michaels presented a top 10 featuring moments from baseball, football, basketball, boxing, and of course ending with #1, the sporting event that kicked off the 80s, the Miracle on Ice. I bring all this up because the Los Angeles Dodgers are returning to the World Series this year, the first time since 1988. #8 on Great Sports Moments of the 80s featured that 1988 Dodgers World Series. 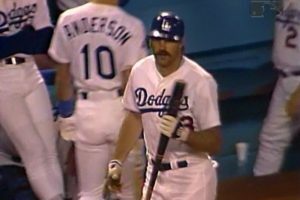 Specifically what happened in Game 1, where Kirk Gibson, the National Leagues’ MVP, injured in the NLCS, was questionable for the World Series but was on the roster. With a 1-run lead going into the bottom of the 9th, the Athletics brought in, future Hall of Famer, Dennis Eckersley, the MLB’s regular season saves leader that year. After two quick outs, with the pitcher’s spot in the on-deck circle, the Eck walked Mike Davis, putting the tying run on 1st base. During the Davis’ at bat, Dave Anderson had entered the on-deck circle to seemingly hit for the pitcher’s spot. However, Dodgers’ manager Tommy Lasorda had something else in mind. Rather than sending Anderson up to pinch-hit, out of the shadows of the dugout, “the hobbled warrior appeared” as Al Michaels said so eloquently. Gibson limped to the plate, in a moment that still gives me chills nearly 30 years later, to face one of the greatest closers of all time. After 7 pitches, including a foul ball that showed off Gibson’s injury, as he barely made it half way up the line on, the count was 3-2. This is the moment kids plan for in the backyard with their bat and ball, full count, 2 outs, bottom of the 9th, a home run wins the game. I can type out what happens, but I think it’s better to watch and hear the call by, Dodger’s legend, Vin Scully.